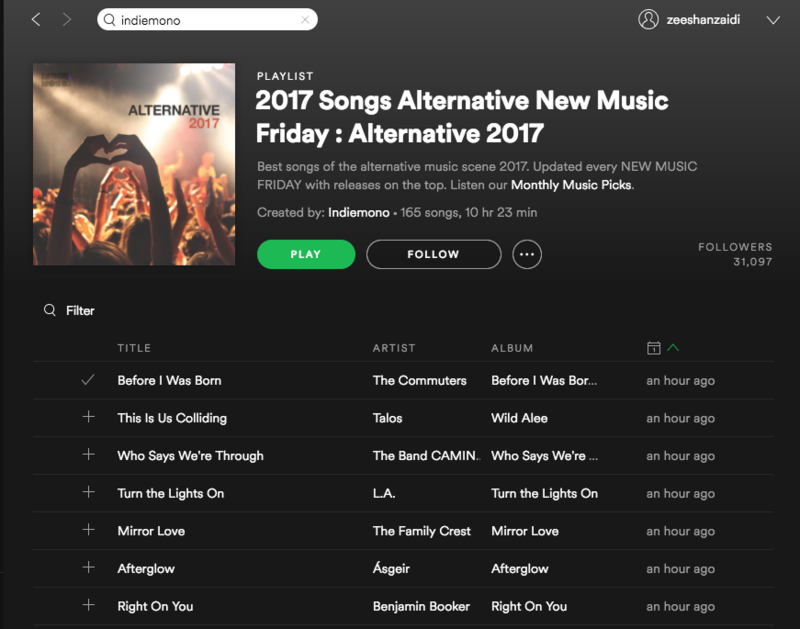 “Before I Was Born” Featured on the IndieMono Alternative 2017 Playlist! 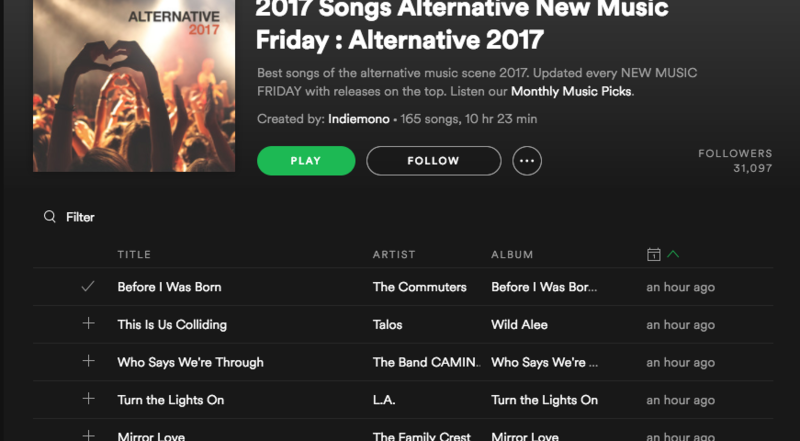 The Commuters are featured on our first major Spotify playlist! Thanks to IndieMono for the add.